To commemorate the fact that it was 100 years since the House of Windsor came into being (the royals abandoned the surname of Saxe-Coburg-Gotha in favour of Windsor), we unveiled the design for a coin created to make the moment. Working with royal historian, Professor Jane Ridley (who is tipped to write the Queen’s biography), we placed an exclusive interview and feature with Press Association who had the first look at the commemorative coin. 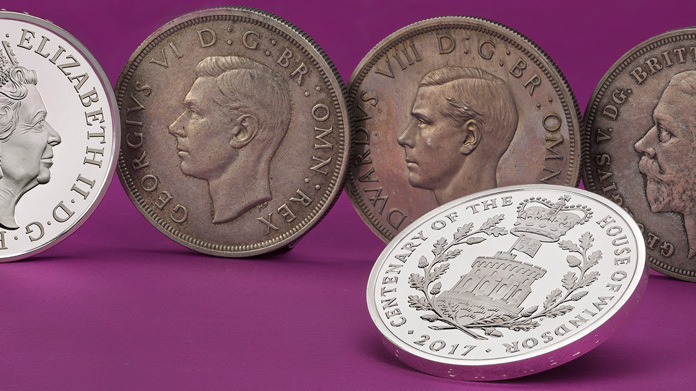 The feature focused on the history of the Windsor house, as well as how The Royal Mint have marked important milestones for the family. Needless to say, the coverage went everywhere – with literally hundreds of articles popping up across the web (and across the world for that matter) thanks to the wire-led piece. What’s more, that was swiftly followed by coverage across the piece, with particular stand-outs in the The Times, The Herald and Daily Mail.